The Kinect will make sure you’re not a sexual abuser. he Kinect never ceases to be a great source of unintentionally hilarious entertainment, and that’s not even considering actually playing the thing, necessarily. “Sailors are going to learn how to read another person’s verbal cues and body language with a Kinect training game meant to curb a sexual [harassment]/assault issue that has become increasingly embarrassing to the armed services. while ago, a prominent writer, Frost (whom I can’t find much information on despite a bit of intense Googling), wrote an article asking why women wear high heels. It seems like a somewhat weird question, one could almost ask that about any accessory. I did not particularly like his reasoning, as it was very complex, even convoluted, I’d say. Anyways, high heels in particular are interesting. In Video Games: Is It a Man or Woman? 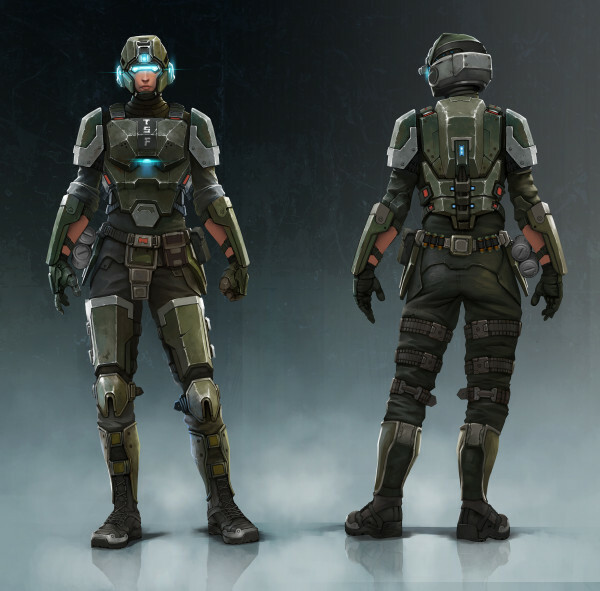 he creators of Natural Selection 2, yet another big, brown, multiplayer focused FPS, has sparked quite a bit of controversy over their new female marine armor design. Basically, the new designs are more practical and realistic, like real armor, thus making the female marines looking practically like men, similar to what real military armor and equipment does. Unsurprisingly, there has been a good amount of positive praise for the design decision, which is fine in itself. It’s difficult to argue that video games aren’t necessarily sexist when many of them have a healthy dose of female skin being flashed on screen. What’s interesting, however, is what this new design direction and philosophy means or represents as far as just how disingenuous the whole concept is. isual representation is the same as objectification. Or, it’s to say that you cannot visually represent something without objectifying it. The word “objectification” has unfortunately become part of an emotionally charged lexicon of jargon used in place of an actual argument. Under such use, the original meaning is typically lost. Yet such misuse offers a great opportunity for (re)discovery if one is actually willing to search for what these terms truly mean via any legitimate dictionary or thesaurus.